Last updated 16 August 2017 . By Faith Strickland. 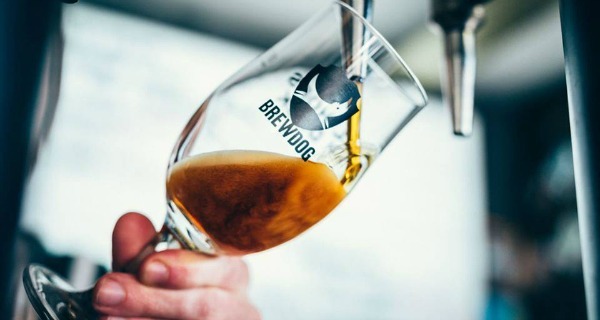 Brewdog Glasgow Hopworks is the latest Glasgow opening from the renowned beer brand. The group have chosen a site near Barrowlands and Glasgow Green to transform into one of their cool pubs using old shipping containers. The new site will have a beer terrace to enjoy when the sun's out, as well as a bar serving bottles and tap drinks. You will also be able to have a go at making your own beer using 50 litre pilot kits and the advice of the expert bar staff. It's safe to say that Glasgow is a fan of Brewdog, so news that another venue is opening will please a lot of ears. The third Glasgow Brewdog venue sounds like it will be completely different from the first venues. Created from reclaimed shipping containers, the new site isn't just about drinking; we can't wait to have a go at brewing our own beer.